By sheer coincidence, right after I read The Aquaman Shrine's recap of Brightest Day #6 (and its retcon of Aquaman and Mera's entire relationship), I got to Aquaman #11 (the first appearance of Mera) in Showcase Presents Aquaman, Volume 2 . Brightest Day #6 SPOILERS below. 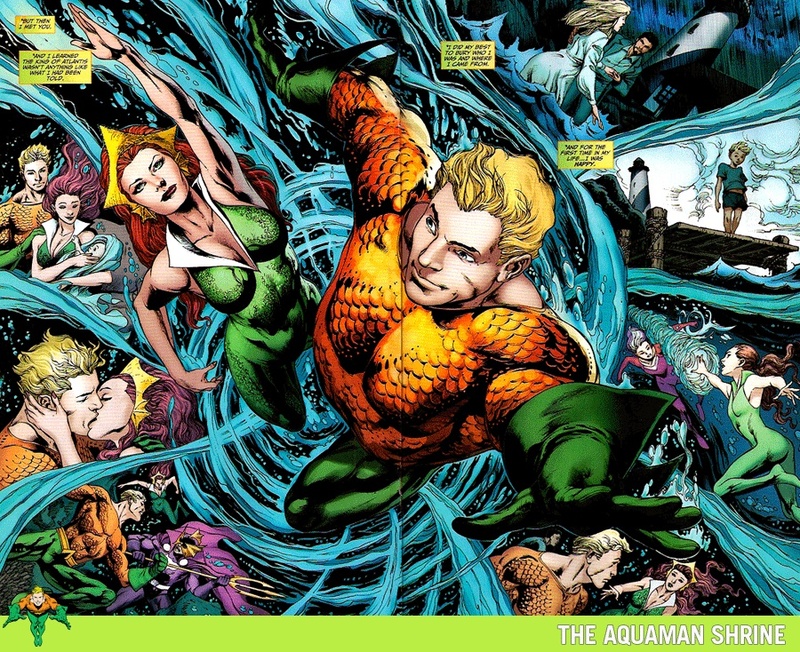 In Brightest Day, Mera reveals that she was originally sent to Earth on a mission to assassinate the King of Atlantis, but that when she met Aquaman she fell in love with him and couldn't follow through. The first lesson I learned from Aquaman #11 is that significantly more has changed than just Mera's motives, because Aquaman wasn't King of Atlantis in the original story. In fact, he and Aqualad didn't even live there. They were still hanging out in the Aquacave, patrolling the seas on porpoiseback; only stopping by Atlantis when the city had a major threat that needed dealing with. 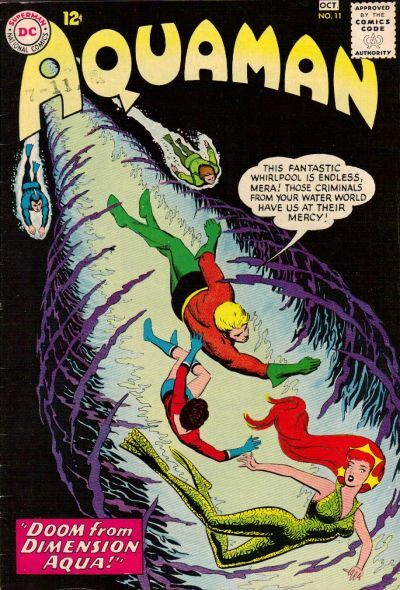 But continuity has been rebooted by a Crisis or four since 1963, so perhaps in the current timeline Aquaman was ruling Atlantis when Mera showed up. What that means though is that - while Brightest Day is still a valid story about the effect Mera's confession has on her husband - it's not exactly a major revelation or an Event for the audience. It's not Everything You Know is Wrong. It's You Really Didn't Know Anything About This, But Everything You Assumed You Knew Based on Pre-Crisis History is Wrong. In other words, Mera's confession may impact the current version of Aquaman in a big way, but should directly impact the readers a lot less, especially considering that we don't really know this Aquaman very well. 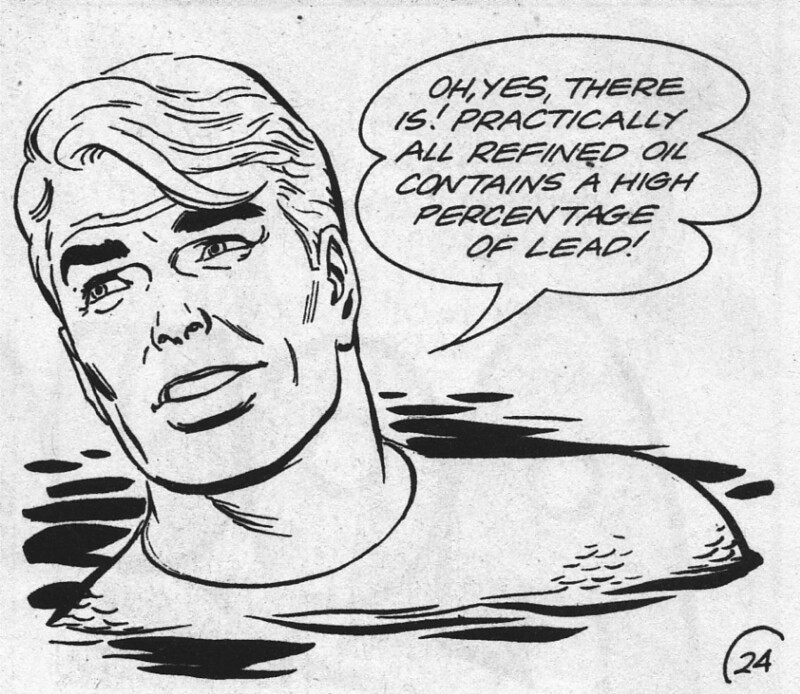 The second thing I learned from Aquaman #11 is that maybe we shouldn't be using Aquaman as a spokesperson for outrage against the oil spill in the Gulf of Mexico. That's right. Aquaman stops the tyrant who usurped Mera's throne by creating an oil spill that covers the bad guys in crude. And it gets worse, because it's not actually the oil itself that defeats the villains. It's what's in the oil. I'm detecting some uncertainty in his eyes there. It's like he knows what he did was wrong, but he did it anyway. And if that's not bad enough, he passed on this attitude to Batman. 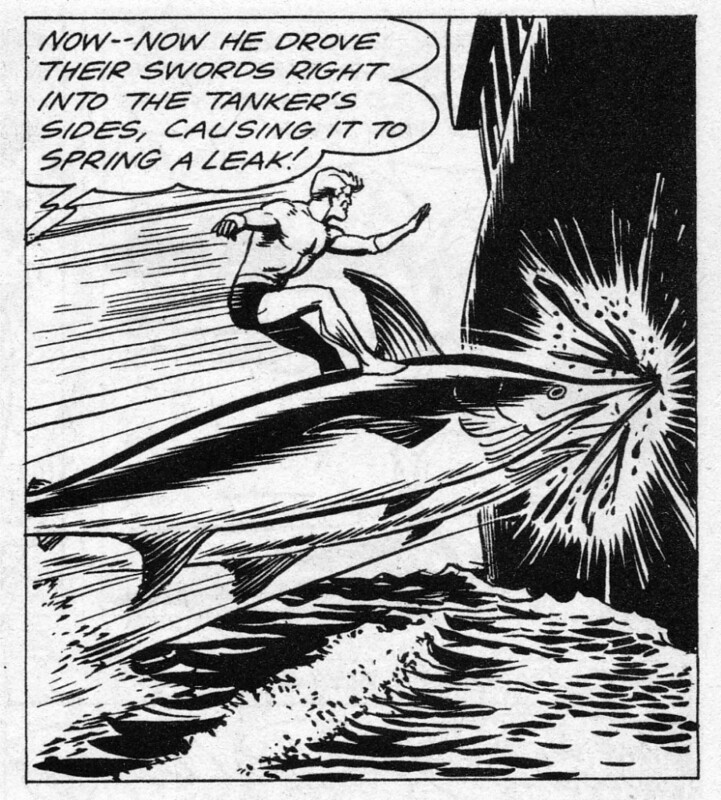 Er... Well, maybe post-four-crises Aquaman knows better about spilling oil into the seas? I bet he put endangered animals in danger by having them fight criminals too.